Jay Z is more than a businessman. He's a "business, man." He never stops. Whether its in the fields of music, sports, food, or anything in between, Jay always seems to come out on top when it comes to his business ventures (well, ALMOST always). It's hard to question Hov's business acumen when looking at his track record. But one of Hov's companies is making a move that looks absolutely crazy at first glance. Before we get into the business move, here is some backstory: Late last year, Jay Z purchased Champagne brand Armand de Brignac, famous for its 'Ace of Spades' logo. Jay Z famously rapped about Cristal Champagne throughout the first decade of his career, before the manager of the company that makes Cristal made what was interpreted to be a racist comment back in 2006. The manager, named Frederic Rouzaud, was asked what his thoughts were about Cristal's popularity among rappers. Said Rouzaud: "What can we do? We can't forbid people from buying it." After Rouzaud's comments, Hov publicly boycotted Cristal, and pulled the bubbly from his 40/40 Clubs. 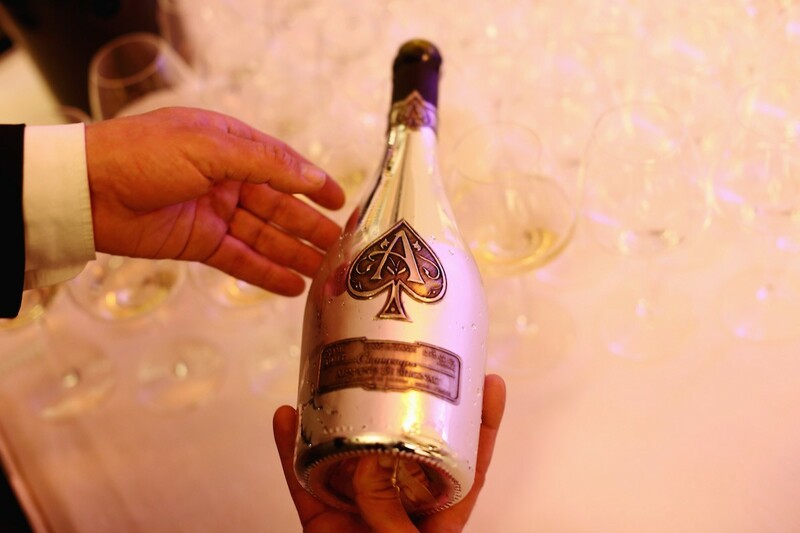 Shortly thereafter, Jay Z began promoting Armand de Brignac 'Ace of Spades' Champagne, putting it in his video for "Show Me What You Got," before ultimately purchasing the brand late last year. That brings to Hov's latest business move. Armand de Brignac is releasing an all-pinot 'Ace of Spades' Champagne with a very hefty price tag for those of us in the 99%. The Champagne, which will be released in October, will retail for a whopping $760 a bottle. The Champagne, which is a blanc de noir, will be shipped in a shiny, gunmetal grey bottle. It will also be highly limited. According to the company's CEO, Sebastian Besson, fewer than 3,000 bottles will be released. The bottles will be so limited that the Champagne will not be available for purchase at Jay Z's 40/40 Clubs. Paying $760 for a bottle of Champagne sounds absolutely crazy to a normal guy like me. The question is, is the bubbly actually worth the money? Probably not. I'm not much a champagne connoisseur, but I couldn't imagine any beverage being worth the equivalent of some peoples' weekly paychecks. The truth is though, that those who have the means to buy it, probably will end up buying it. This is a textbook example of a Veblen good; something expensive that people will buy because it is expensive. Hey, at least the bottle is shiny.